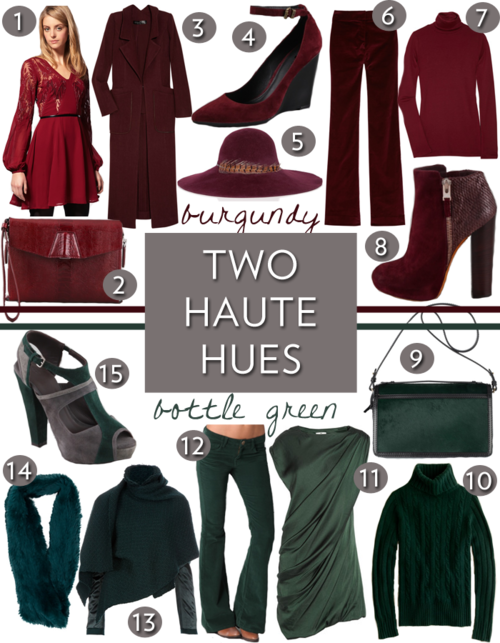 My two absolutely favorite colors this fall are burgundy and bottle green. Both are deep, rich colors with the ability to mix with a variety of other hues in your closet. Ranging from super cheap to über expensive, here are some pieces to incorporate into your fall wardrobe. My personal picks are these B Brian Atwood booties and the Jil Sander shoulder bag. To die for! !